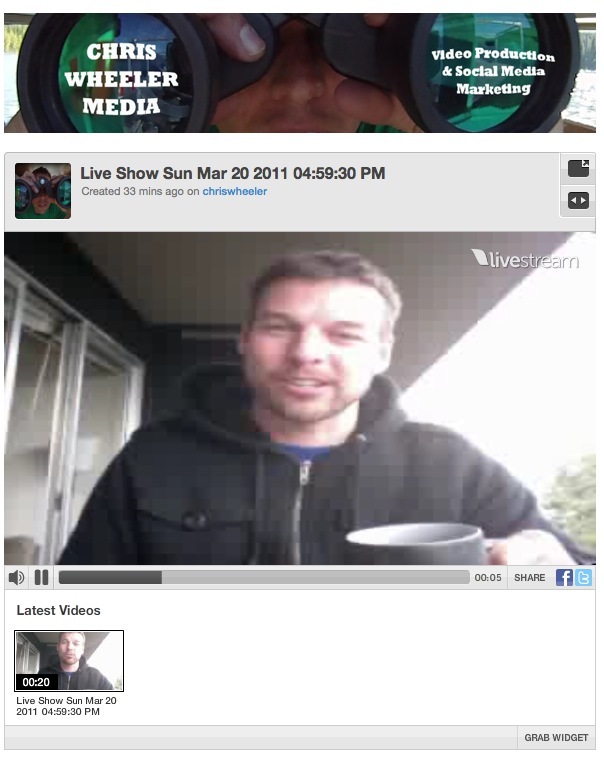 Chris Wheeler Media has launched www.livestream.com/chriswheeler to show live travel clips and events during film shoots. I believe that this will become an important service to offer clients to create buzz during campaigns and to provide immediate live content for social media platforms. I will start using this tool to have online discussions and to broadcast live events and experiences from cameras and mobile devices. What better way to show authentic in the moment experiences and cover events live. Contact me if you are interested in having your event streamed live.